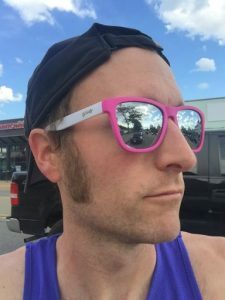 I got to demo a pair of these running sunglasses the other night at our local Running Lab running store in Brighton, Michigan. Overall these were super fly. Loved the array of bright colors, they were comfy, great UV protection (including polarization), and are a great price (especially for polarized lenses, which generally rarely come inexpensively). They worked well during my 7-mile demo run and didn’t slip around at all, even once I got sweaty. The one downside doesn’t even apply to this specific pair of glasses but to all running sunglasses–having my eyes blocked doesn’t allow for proper eye-sweat evaporation and then my eyes get overly sweaty. This has happened with all of the many types and brands of running sunglasses that I have tried and seems to be pretty much unavoidable. This is not something I blame Goodr or anyone else for, because as I said, I feel it’s unavoidable. The best I can do is run with a small sweat towel so I can occasionally wipe my eyes out from time to time once I really start sweating. However, it is for this reason why I don’t run with sunglasses at all and probably will continue to not to. 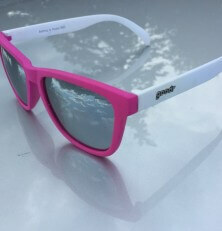 HOWEVER, I do love sunglasses in general, especially in this style and in bright colors, and I also love “cheap sunglasses” (This $25 pair is on the high end of what I usually pay for them, ha ha!). I would definitely consider getting a pair of these just to wear casually, or maybe with cycling, as I find them super fun and I like that they are polarizing and don’t cost a ton. So I will still possibly get a pair to wear casually. NO SLIP – We use special grip coating to construct our frame to help eliminate slippage when sweating. NO BOUNCE – Our frame is snug and light weight, with a comfortable fit to prevent bouncing while running. POLARIZED LENSES – Our lenses offer UV400 protection that blocks 100% of those harmful UVA and UVB rays. 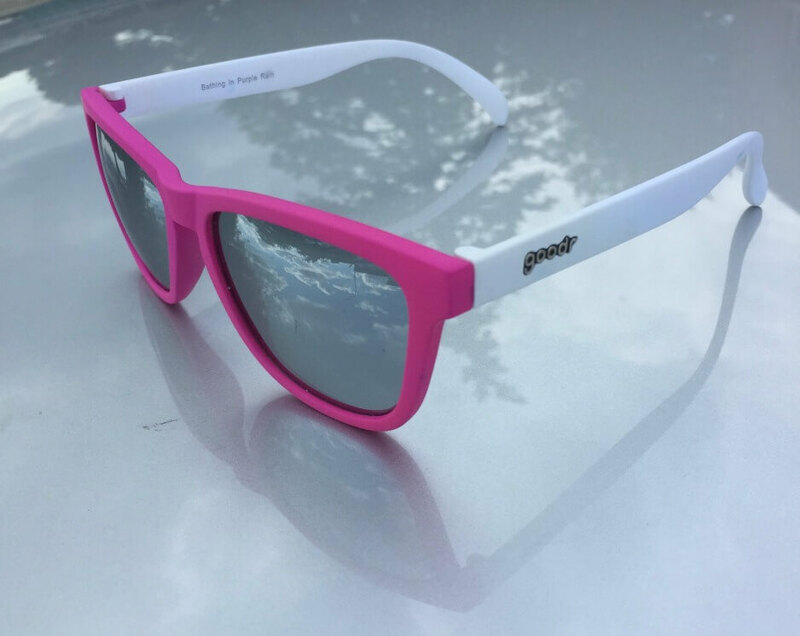 They also feature glare-­reducing, polarized lenses because you deserve the best.